Our fearless reporters in Los Angeles didn't forget about us while we were all asleep and uploaded quite a few videos for you guys. Let's start with 3 more 60 fps videos of Bayonetta 2! 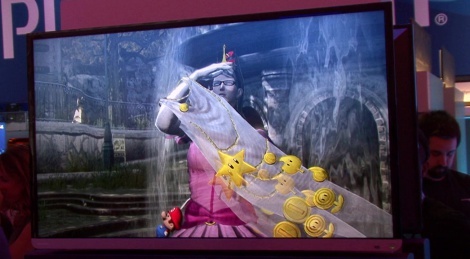 Update: If though the demo booth says this is Bayonetta 2, it's more than likely that this is actually the first Bayonetta running on WiiU. All we need now is a 60fps trailer in HD. 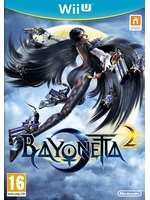 yep its the first game and it looking good on the Wii U.
Nope, It´s not Bayonetta 2 :) Looks fine, and It´s great that the game is included with Bayonetta 2.